Sometimes you want to set your tweets in advance or set automatic reply in twitter, tweetingmachine is a free web service that will help you to schedule your tweets and set automatic reply. It is very simple to use anybody. 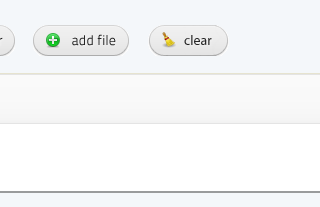 First you want to create an account in tweetingmachine after creation of account you can login to twitter. 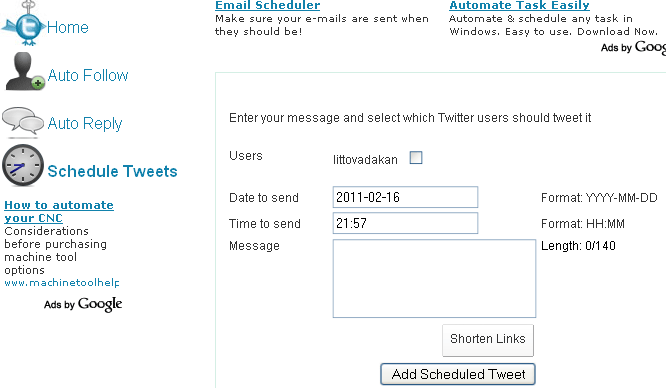 Here you can send scheduled tweets in advance, set automatic reply and automatic follow of others. You can add multiple Twitter accounts also.